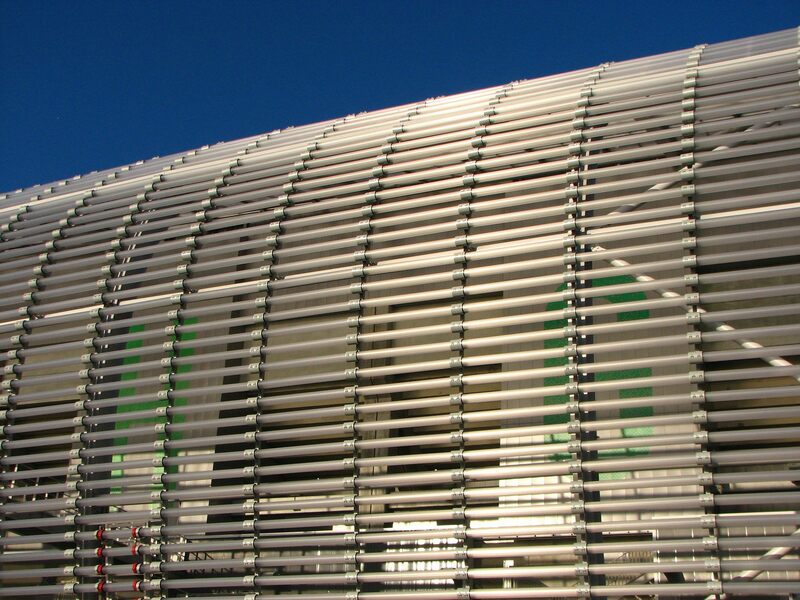 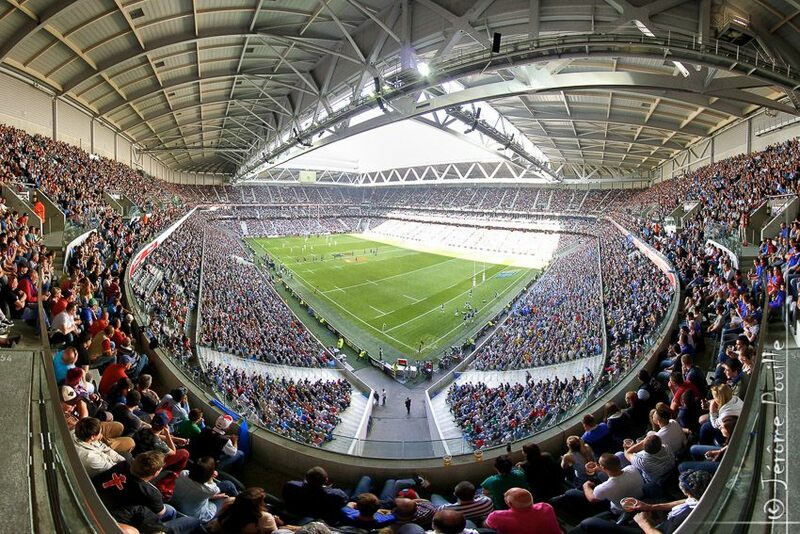 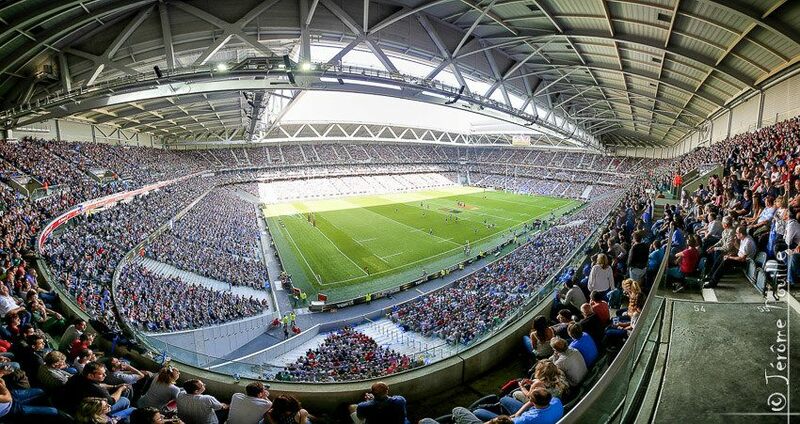 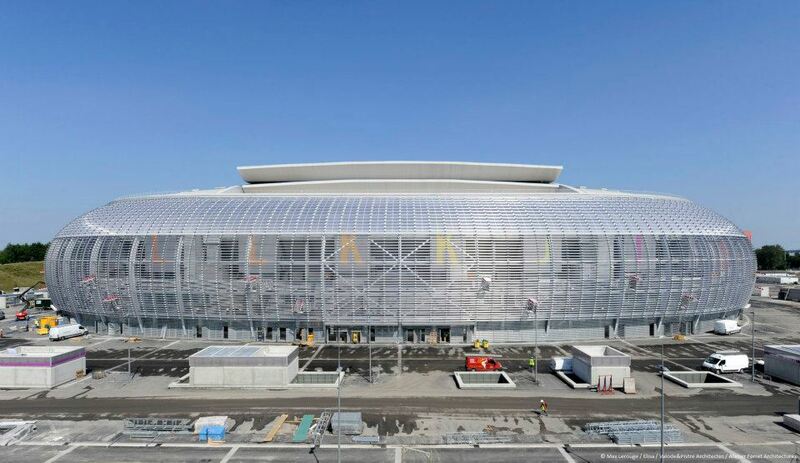 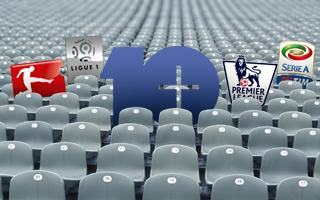 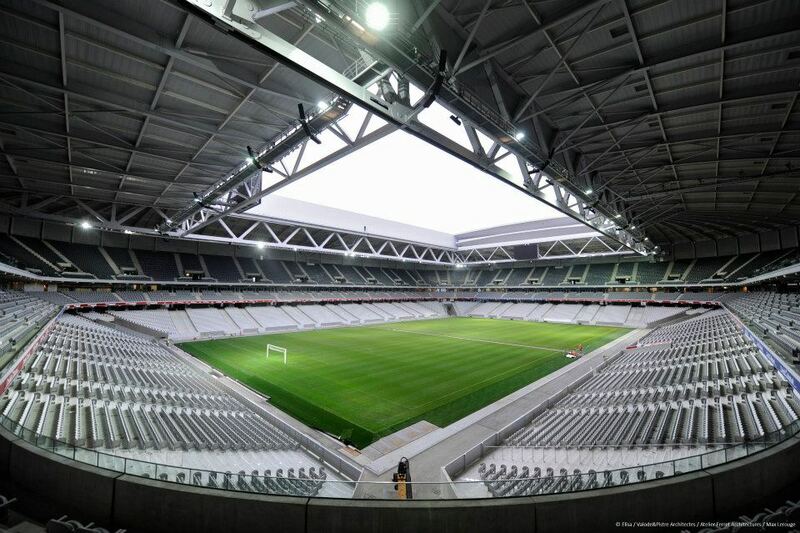 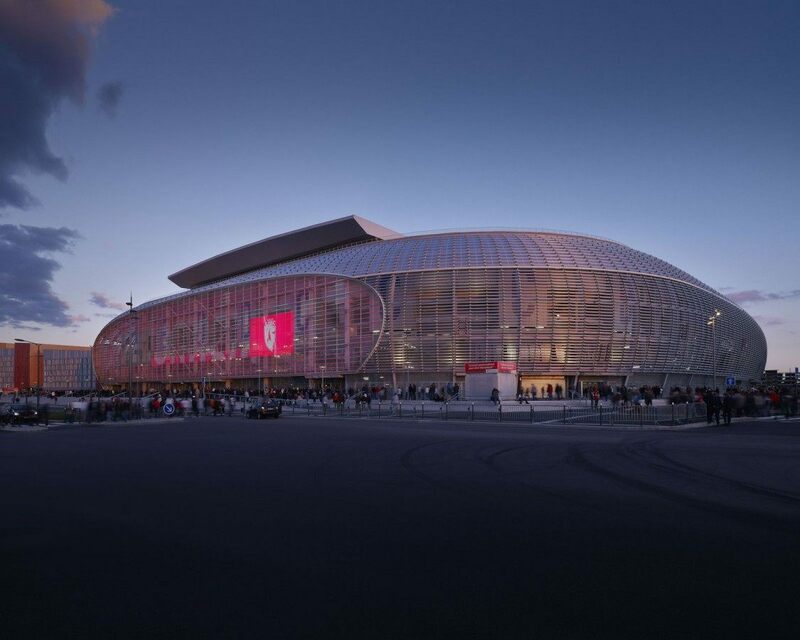 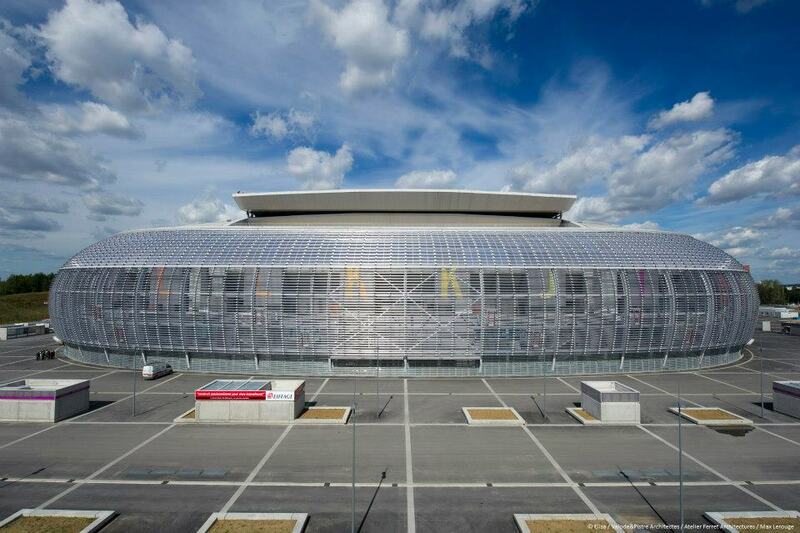 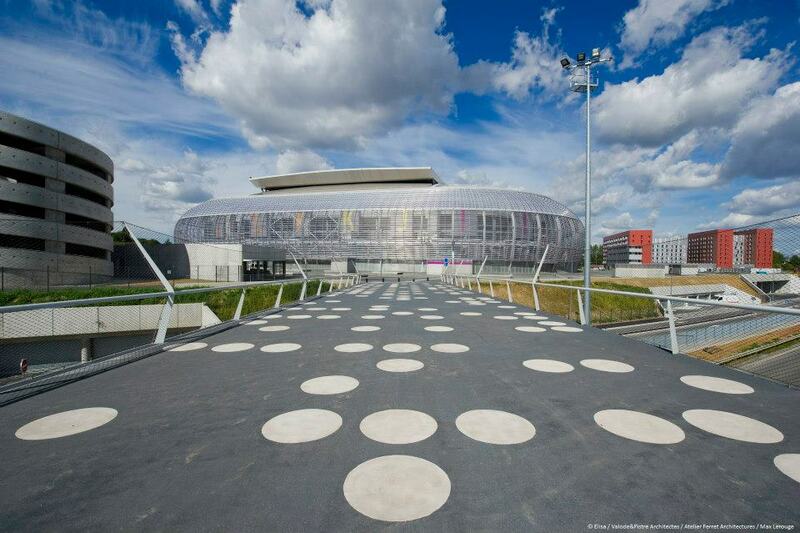 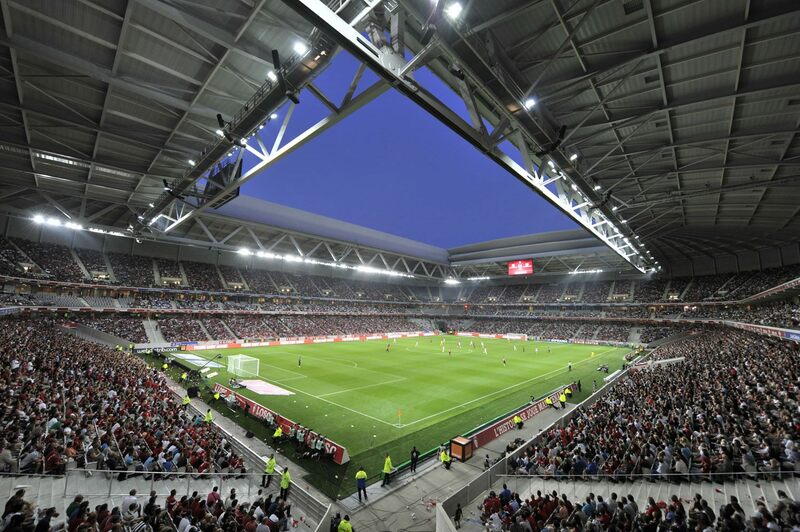 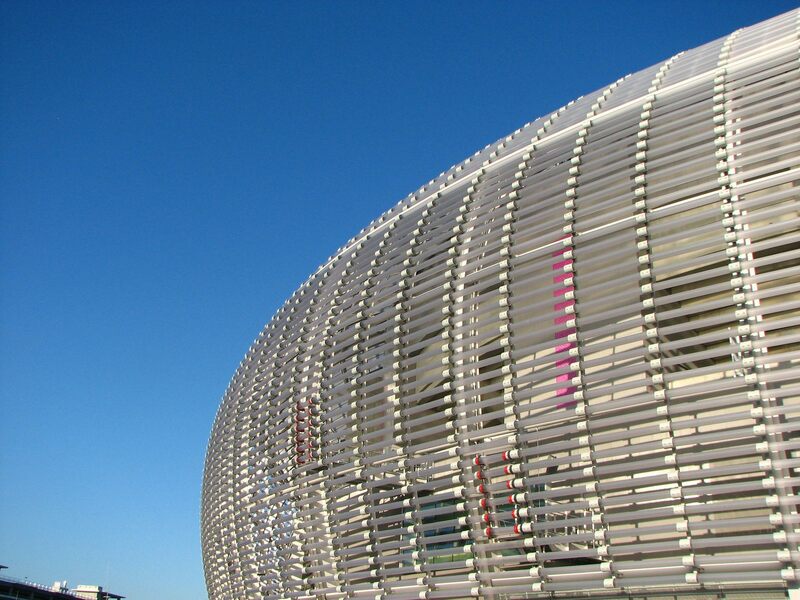 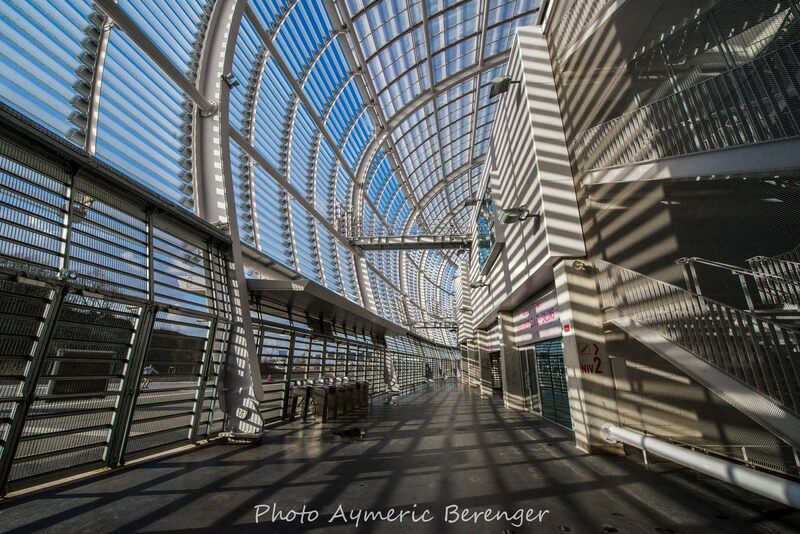 In 2009-2012 a public-private partnership project in Lille brought a new stadium to the city. 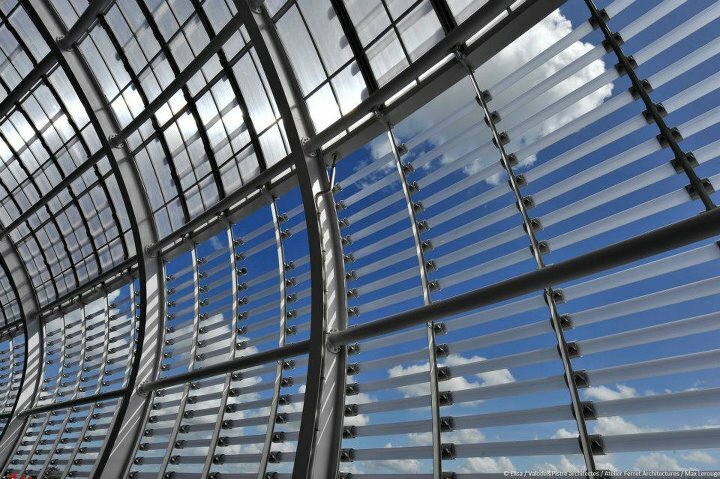 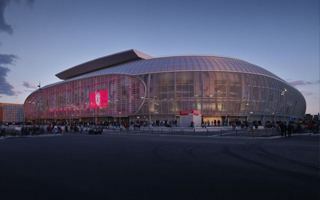 The 50,000-seater was partly financed by its contractor, Eiffage, which in return will receive partial revenues until 2043. 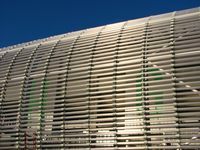 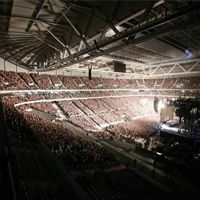 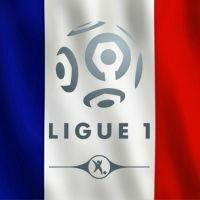 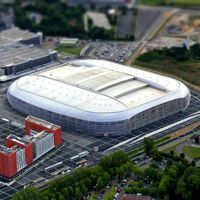 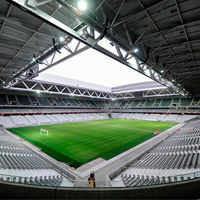 Initially called Grand Stade Lille Métropole, the arena is due to receive a sponsored name as part of revenue streams. 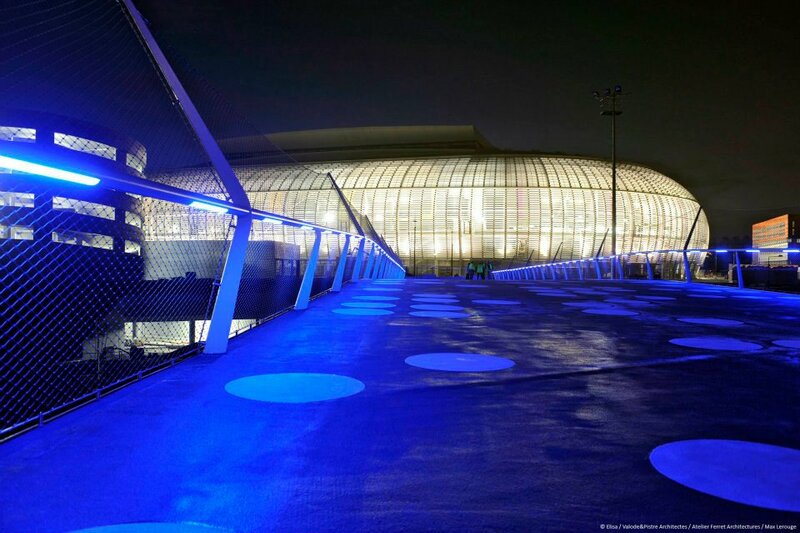 Along with design by leading French architects of Valode&Pistre and Atelier Farret the massive ellipse is covered in LED-lit tubes that allow it to glow at night. 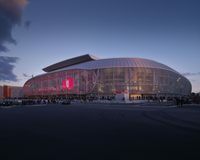 One of the facades is indeed a giant screen with two smaller ones installed within it to give a more detailed view of the large projection. 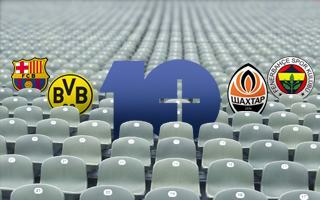 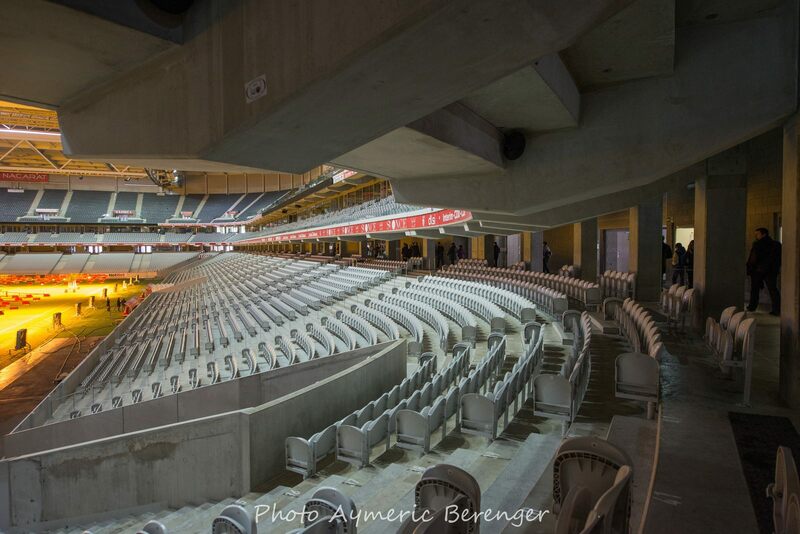 Inside there are stands divided into three tiers of which middle one is dedicated solely to corporate supporters. 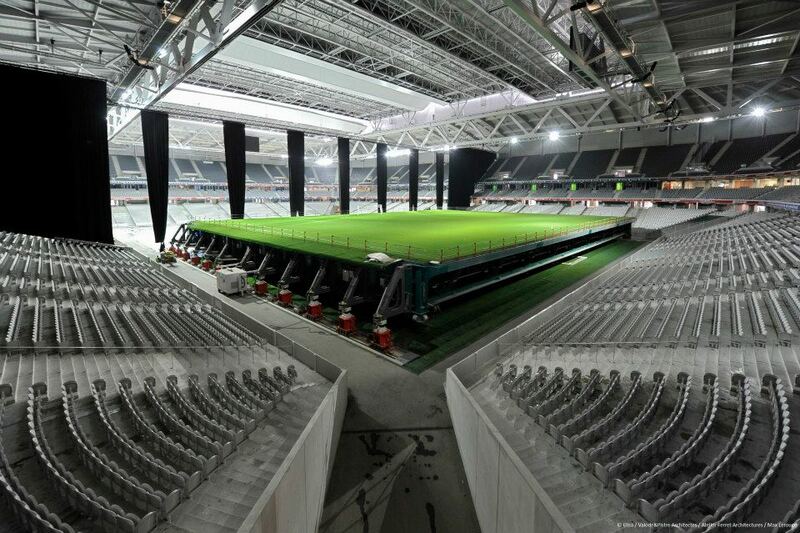 The ground is very innovative thanks to half-retractable pitch that has not been used in any stadium before. 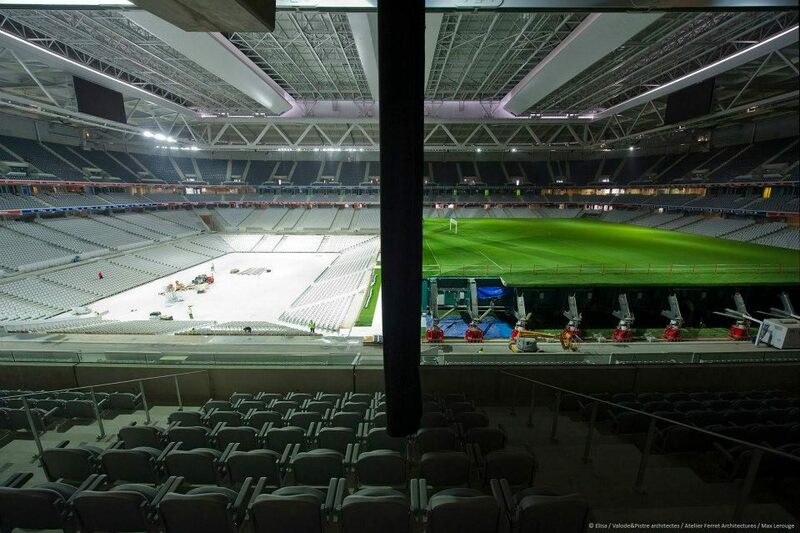 The system provides one part of the field covering the other on massive railings and revealing yet another tier of seating, this time around a smaller field for basketball/volleyball/tennis. 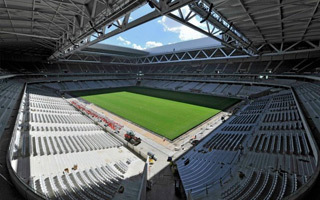 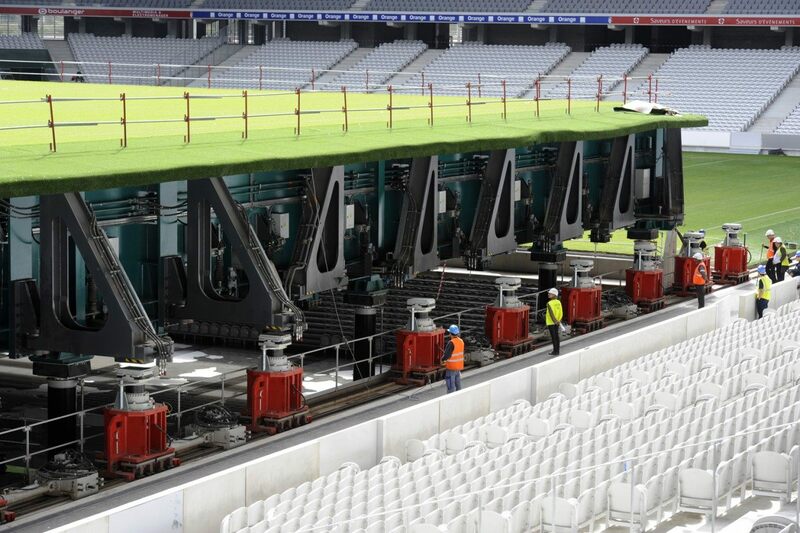 Along with curtain dividing the stadium into halves and first French retractable roof it may thus become a indoor arena for concerts and sports events, with the playing field remaining untouched in the ‘closed’ part of the stadium. 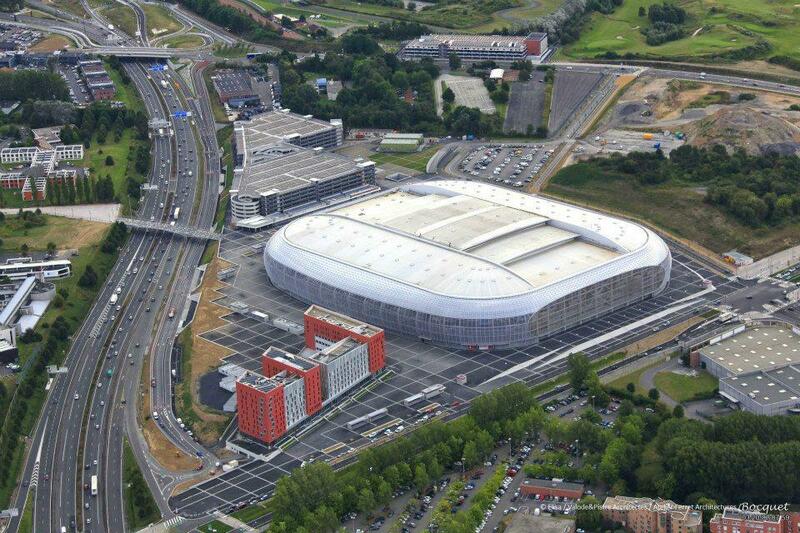 The stadium cost €282m to build with further €42m for surrounding parkings, conference and hotel parts of the complex. 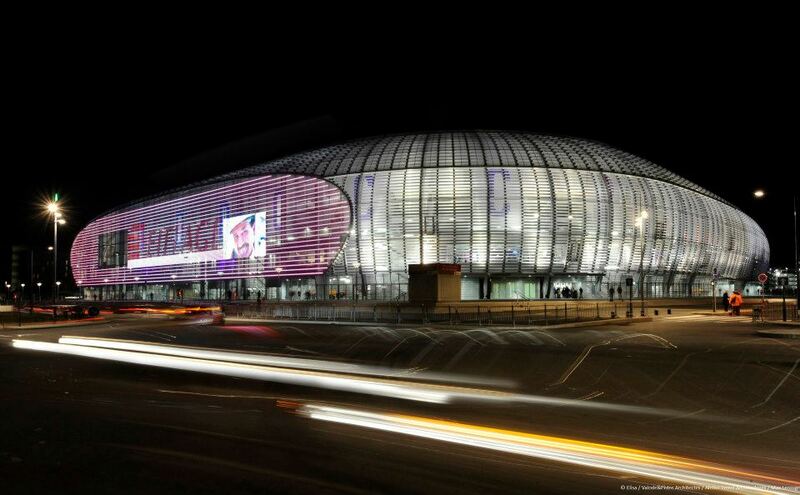 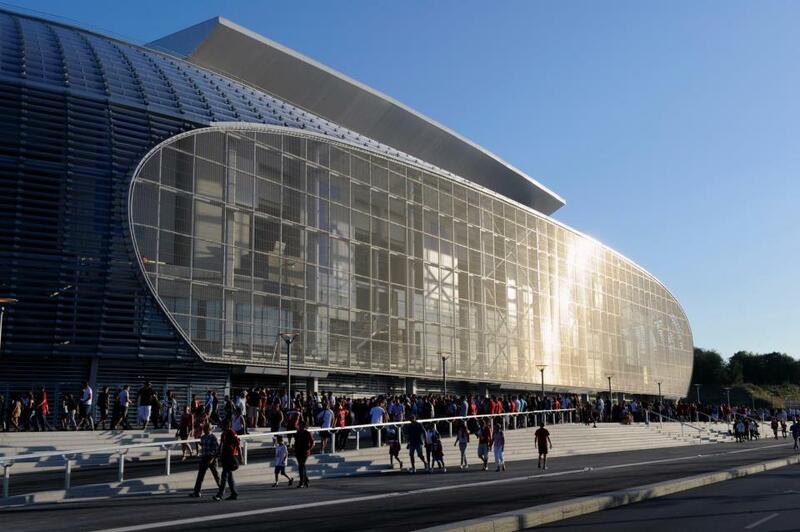 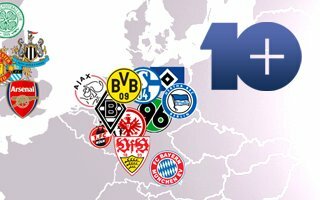 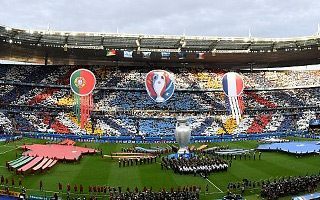 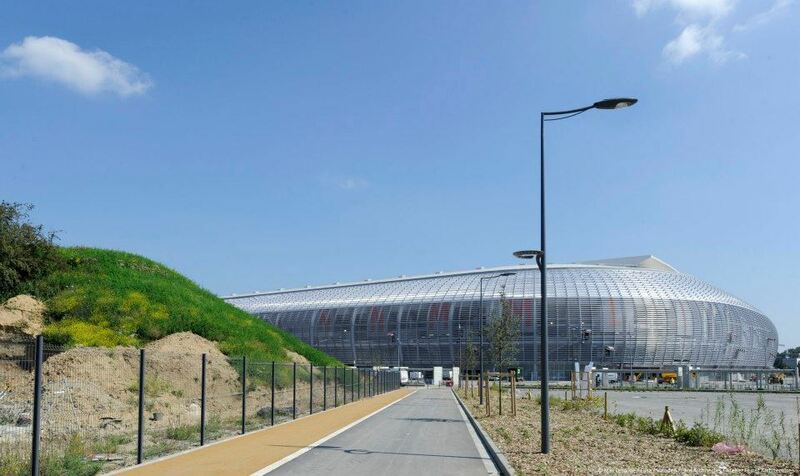 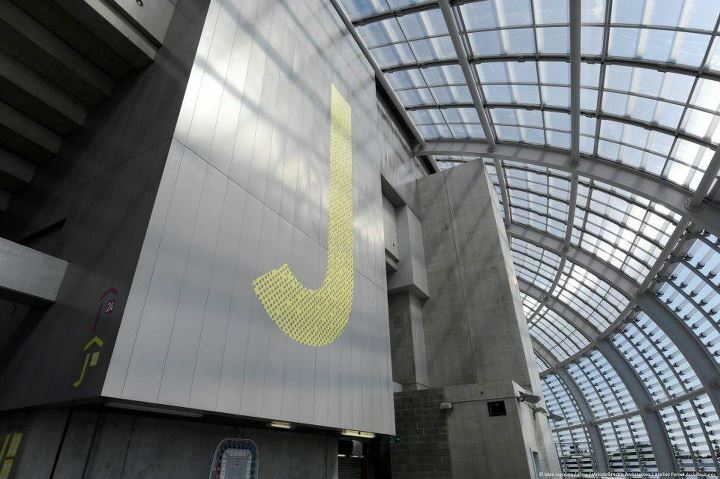 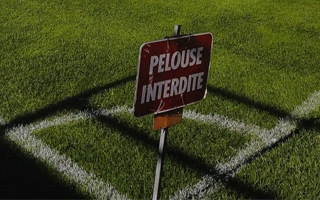 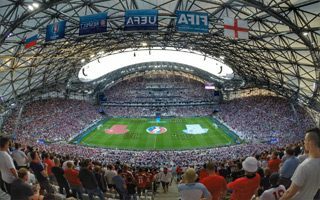 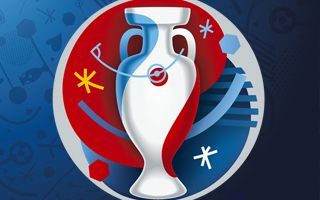 Furthermore, Lille spent almost €300m on communication to the venue. 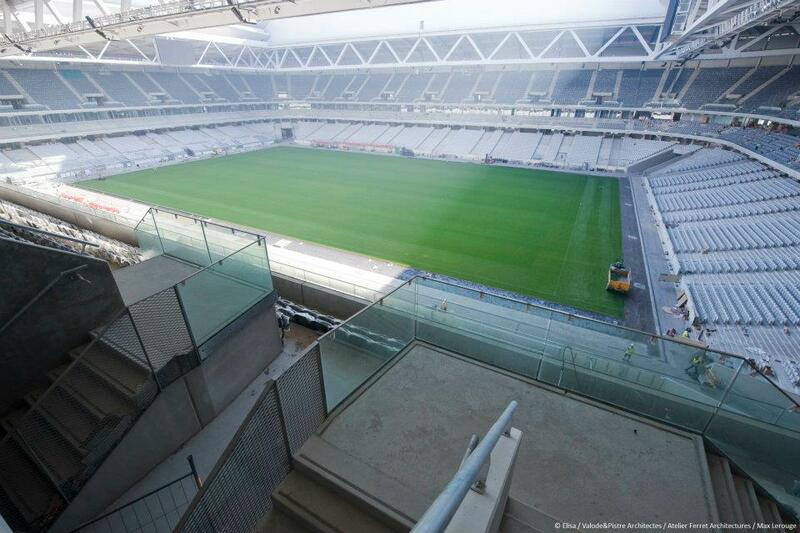 Major tenant is Lille OSC, largest football club in the city. 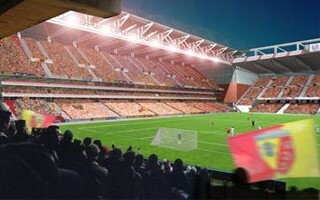 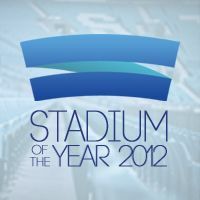 However, due to multi-use features of this stadium it is planned to host far more events, also non-sporting ones. 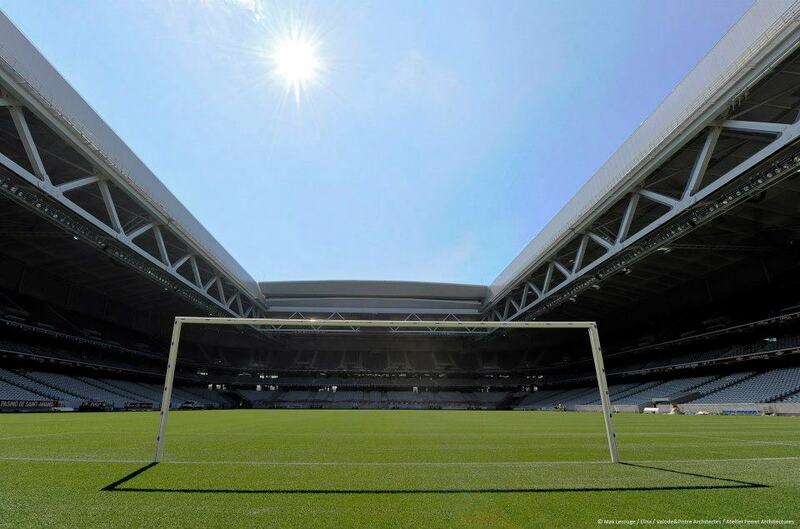 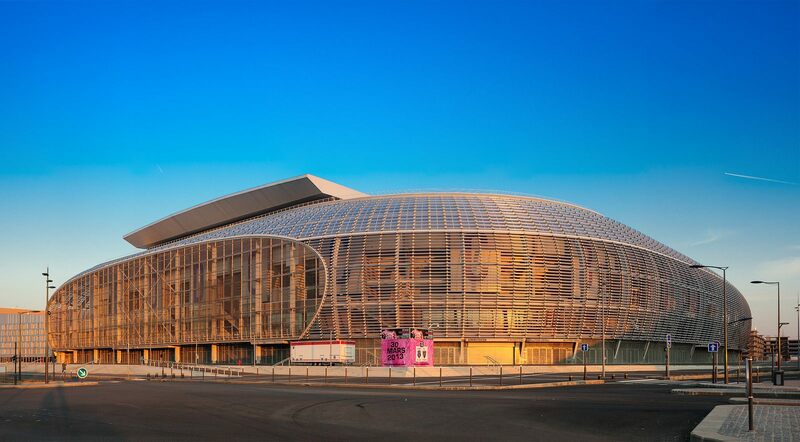 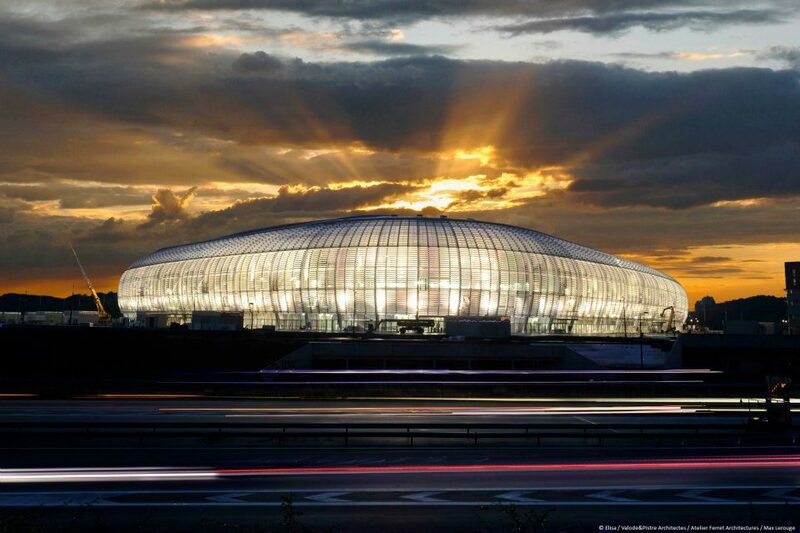 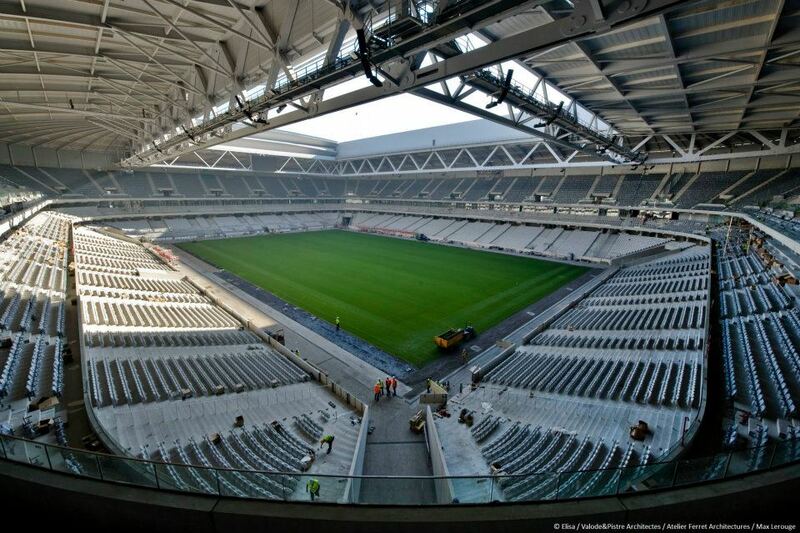 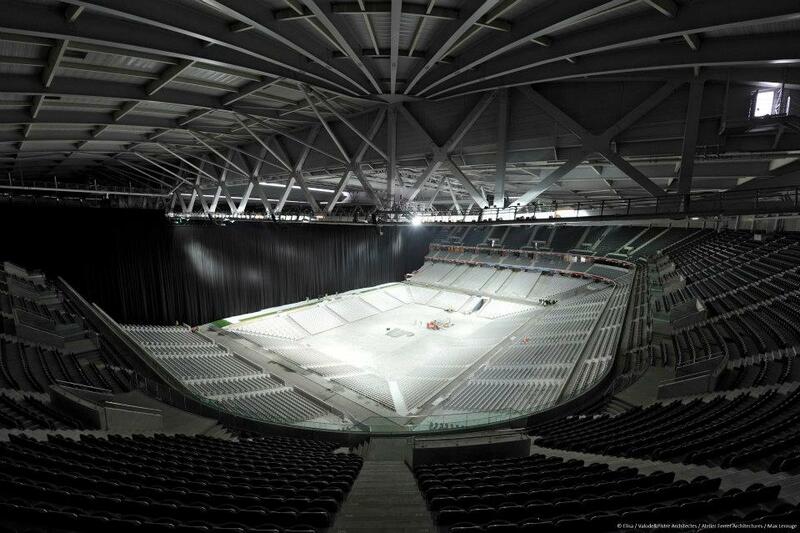 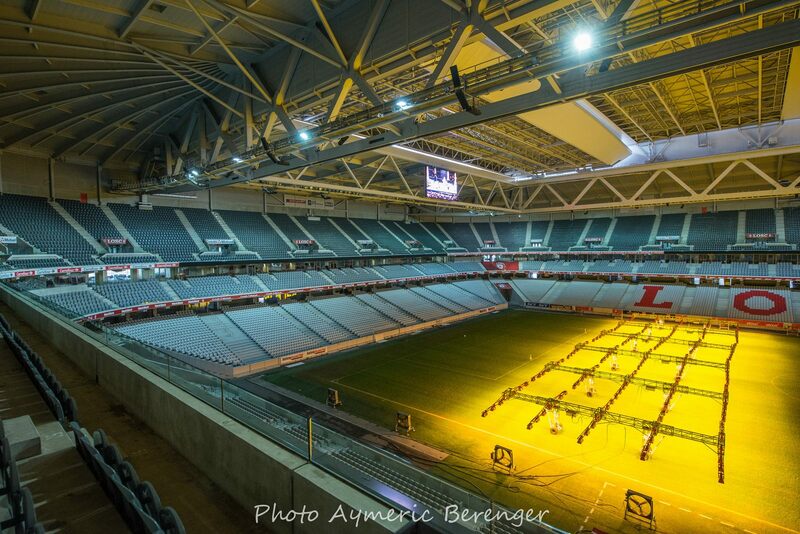 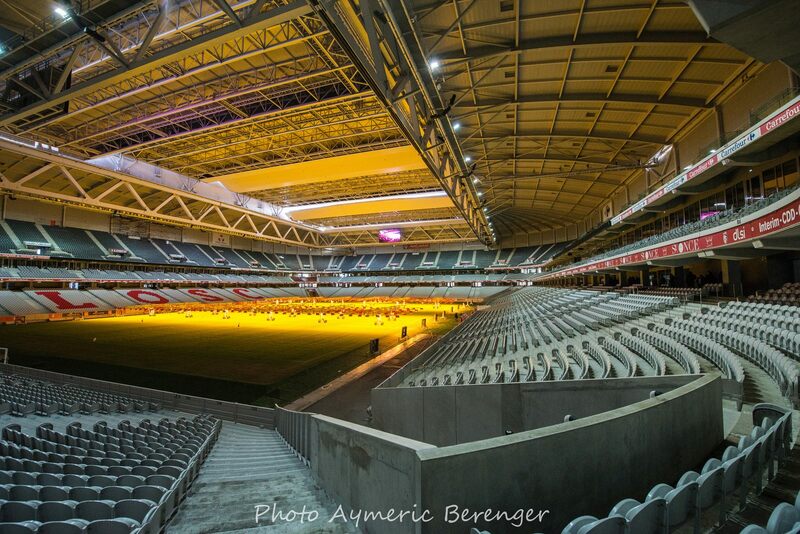 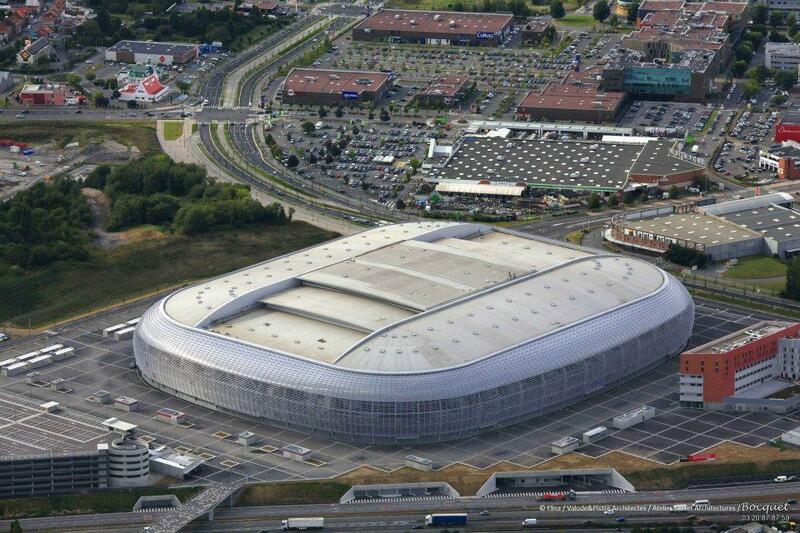 In 2016 games of the European Championships are to be played here, when France holds the tournament. 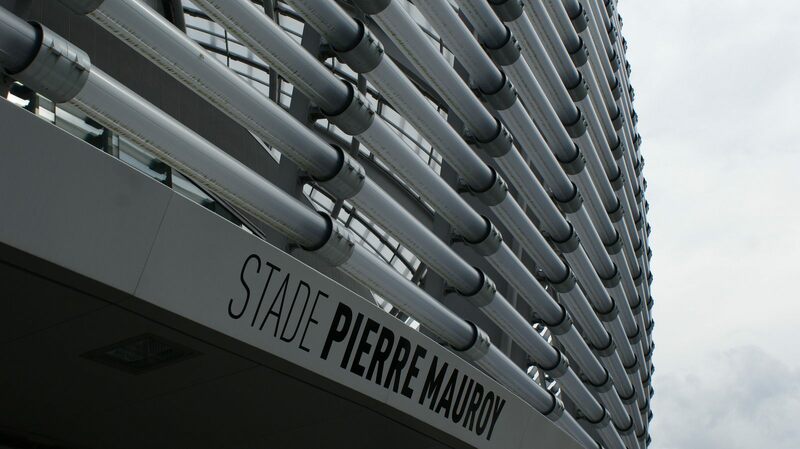 In June 2013 decision was made to rename the stadium in honour of Pierre Mauroy, former prime minister and mayor of Lille.